Composites are light in weight when compared to woods and metals. It consists of two or more distinct phases such as matrix phase and a dispersed phase. Metal matrix composites are expensive and limitations in achieving stiffness and toughness for materials to overcome these limitations, hybrid metal matrix composites (HMMC’s) are fabricated and designed. In recent years hybrid metal matrix composites (HMMC’s) are plays a vital role especially in material science in the field of aerospace, marine, transportation, military and structural applications. Aluminium (Al) based metal matrix hybrid composites are used extensively in the field of automotive industries due to its low density and high strength-to-weight ratio. In the present study, aluminium A356 alloy with different weight fractions (0, 5, 7.5, 10 and 12.5%) of RHA and Fly ash reinforced hybrid composites are fabricated by using double stir casting technique. Determination the effect of the addition of organic (RHA) and in-organic (Fly Ash) reinforcement with aluminium A356 alloy on the physical and mechanical properties such as hardness, density and porosity were studied. FE-SEM, XRD, and EDS were analysed for A356 alloy/RHA-Fly Ash hybrid composite. The size distribution of the matrix alloy and reinforcement particles was measured using particle size. A significant improvement in the mechanical property was observed when adding the reinforcement with as-cast aluminium matrix alloy. 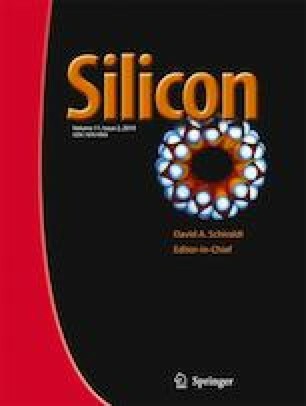 The authors wish to thank Professor Dr. N.Selvakumar, Director, ‘Nano centre’, Mepco Schlenk Engineering College, Sivakasi, Tamil nadu, India rendered the support for the fabrication of Hybrid Composites. The authors also wish to acknowledge for the extended facilities by ‘Centralised Instrumentation Science Laboratory’, the Department of Physics, Annamalai University.